Last summer, poker players at the World Series of Poker were boisterous in the dislike of the newly implemented Player of the Year scoring system. It appears that the suits that run the WSOP heard the complaints loud and clear and have made significant changes for 2018. The new system rewards more points for wins and deep runs according to a statement released Thursday. A win is now worth approximately 20 times what a min-cash is whereas in 2017 the win was worth between three and eight times as much as a min-cash. The formula used to calculate WSOP POY points has not been made public, but players can use a calculator on the website to calculate approximate points earned for any event provided they know buy-in, field size and finishing position. Here is a comparison of the difference between 2017 and 2018 for some of the marquee events on the WSOP schedule using identical field sizes from 2017. As in years past, events that aren’t classified as “open” will not count towards POY point totals. That means the Casino Employees, Seniors, Super Seniors and Ladies Event will not allow players to earn points. Two other events will also not count towards POY: the $1,000,000 Big One for One Drop and the $1,000 Tag Team event. The remaining events, plus the open events at WSOP Europe will count towards the POY race. 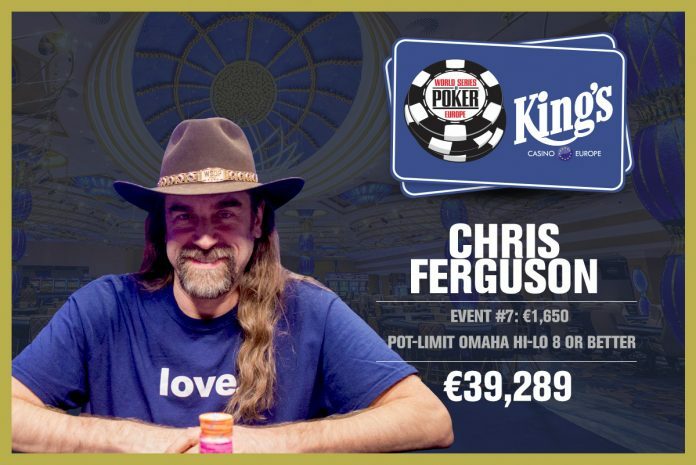 Under the new system, Chris Ferguson would still have won the 2017 WSOP POY race thanks to a record-breaking 23 cashes which included a bracelet in the €1,650 Pot Limit Omaha Hi-Lo event. The 2018 WSOP begins May 30.